OMG don't forget the jalapenos! My husband is addicted to them. We actually left a restaurant once because he wanted nachos and they didn't have any jalapenos. i must make some this weekend. 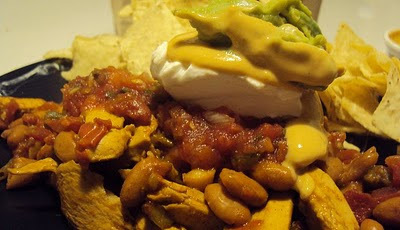 Putting vegan chicken on nachos is a great idea! I'm going to have to give this a whirl. Yum!